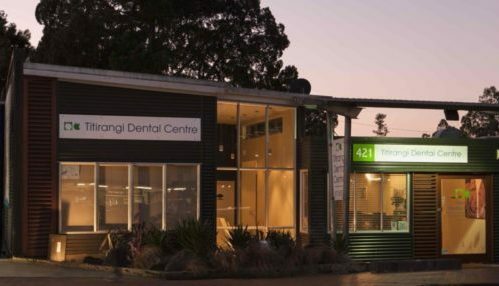 Titirangi Dental is a boutique family dental practice located in the heart of Titirangi Village. Our team is passionate about our dental care and we dedicate ourselves to provide you with the best possible dental care in a relaxed and comfortable environment. Everything we do is focused on making sure you have a healthy mouth as well as a beautiful smile! At Titirangi Dental we do our very best to understand your concerns and dental needs so that we can personalise your care for your long term dental health. By using the latest techniques and technologies we can design your dental plan that can reverse early decay, preserve teeth, replace missing teeth, cosmetically improve and even straighten teeth. With more than 65 years in Titirangi Village, Titirangi Dental is committed to the community that we a very much part of. We have a long tradition of supporting cultural events, sport, health and schools with a variety of sponsorships. Each of these associations makes West Auckland a better community in which to work and live and we are proud to be a part of it. This is a way for Titirangi Dental to show our appreciation to the community for the support it gives us. We are looking forward to you visiting us where service is with a smile in our friendly relaxed surroundings in the heart of Titirangi Village.